Thane Mahanagarpalika Bharti 2019 is started and it is officially published by Thane Municipal Corporation. In this recruitment total, 35 vacancies and the name of those posts are Nurse. Thane Mahanagarpalika Recruitment 2019 Walk-In Interview Date is 7 March 2019. In this post, you will get all important information like Eligibility Criteria, Educational Qualification, Interview Date, Selection Process, Age Limit etc. 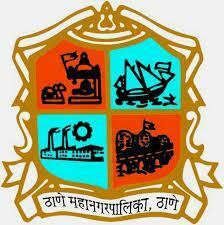 for the Recruitment of Thane Mahanagarpalika Nurse Posts. So, Read below details carefully before filling the offline application form. 29 tarkhechya interview cha time kay ahe.? kiti vajta yayla lagel interview sathi.? Me graduate ahe me apply karu shkte na? Mahanagarpalikemadhil job vacancy Sathi? If your graduation is not related to the medical field then you can apply for only “QA Programme Assistant” post.